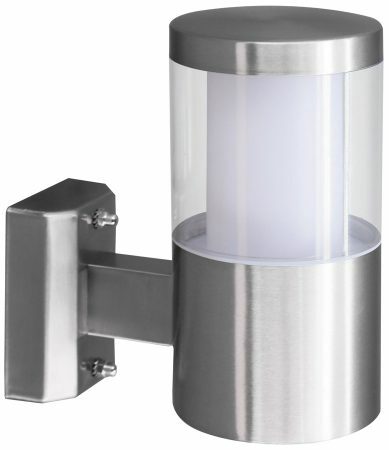 A 180mm high IP44 rated stainless steel outdoor wall light, with an LED filled steel tube light head and clear polycarbonate tube diffuser inset with an opal white lamp cover. Supplied with a single 3.7 watt warm white replaceable high efficiency lamp, this sleek modern wall light is a sure fire winner for lighting today’s modern outdoor areas. From the Basalgo range of modern outdoor LED lighting products.